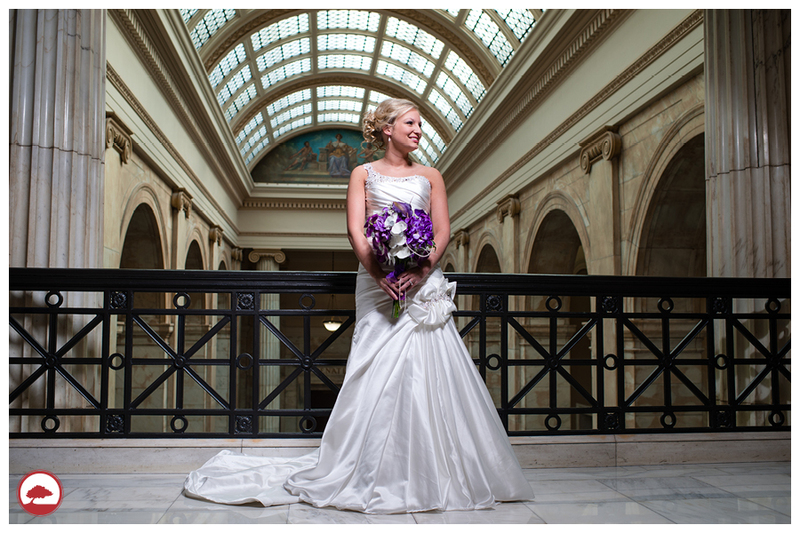 We first met Kelly and Ryan at their wedding consultation almost a year ago. We had just recently shot an engagement session of Kelly’s brother Rob and had such a blast with him and his now wife, Renee. Kayla and I were so excited to book Kelly and Ryan’s wedding because they were such a bubbly couple and we automatically clicked with them. Kelly will be graduating in December from UCA with her B.S.E. in Early Childhood Education. As some of you may know, Kayla just graduated with the same degree from UCA. While Kayla and Kelly were chatting about teaching and school, Ryan and I traded stories about duck hunting because we are both avid duck hunters. 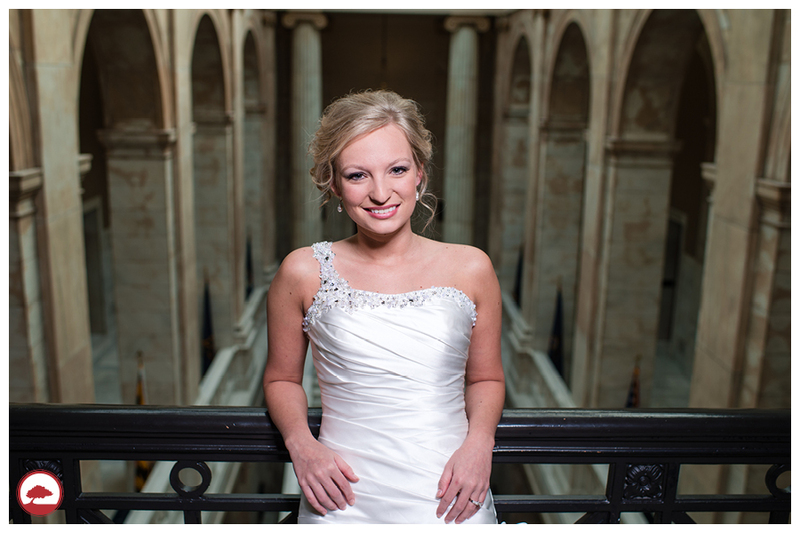 When it came time for Kelly’s bridal session, we couldn’t wait to shoot at the State Capitol again. We have shot there two other times so we wanted to mix it up a bit by going to the 4th floor and in front of the gold elevator doors. We were also in luck that the trees were in bloom and gave us a pop of color. 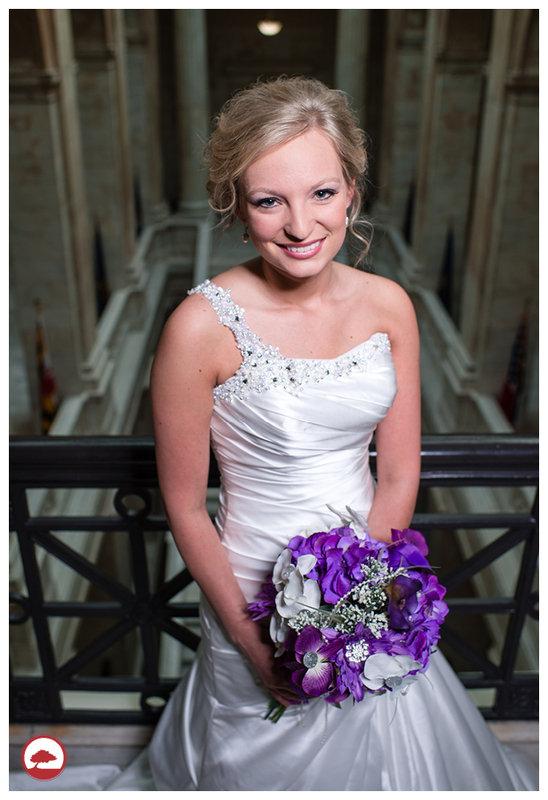 Kelly was up for anything and we love when brides give us full creative control. Enjoy!